If you are a pet owner, whether you own a dog or a cat, you are probably familiar with fleas. Fleas are one of the top problems faced by pet owners because of the risks they bring to the family. But do fleas really pose a threat to your pet’s health and well-being? Fleas are six-legged parasites that feed on the blood of their host. However, flea bites can lead to more than mere scratching and irritability. As a pet owner, you should be aware of the health risks fleas pose to your cats and dogs. Flea bites can cause itchiness and irritation to your pets. They can develop an allergy from the saliva of the flea. The constant scratching can lead to hair loss typically at the base of the tail and small scabs and redness present all over your pet’s body. Even a single flea bite can cause your pet extreme anxiety and restlessness due to intense inflammation and irritation. At times, your flea-infested pet may try to bite or chew on areas of their body that have been bitten by fleas. This self chewing can cause major skin infections which may require antibiotics or even steroids in order to heal. These flea bites can kill your pets, so it is wise to never ignore them. Fleas can cause tapeworm infections when a pet ingests a flea carrying a tapeworm larva. These tapeworms do not directly cause illnesses to your pets but it is highly recommended that you remove them. It is also be possible for your pet to be bitten by a flea that has already picked up parasites from rodents, possums, or other wild animals. When this happens, it is possible for your pet to acquire these dangerous parasites. Tapeworms and fleas can also cause weakness, malnutrition and other dangerous health hazards to your pests because pets can pass of all their nutrition to these parasitic fleas and tapeworms. If many fleas are biting your pet at the same time, this can cause significant blood loss and eventually lead to severe anaemia. If left untreated, these fleas can multiply rapidly killing young or weak pets. Note that even a single flea can bite your pet a hundred times a day. Once you notice symptoms of lethargy, weakness or pale gums, it is best to consult your vet right away. Fleas are terrible parasites that feed on your pets, but these pests are not impossible to get rid of. Like many diseases, prevention is the key. Practice good pest management to rid your pets of fleas. When treating your pet for fleas, don’t forget to treat your home too in order to prevent future infestations. For environmentally friendly pest control, hire only Ian King Local Pest Control Services. 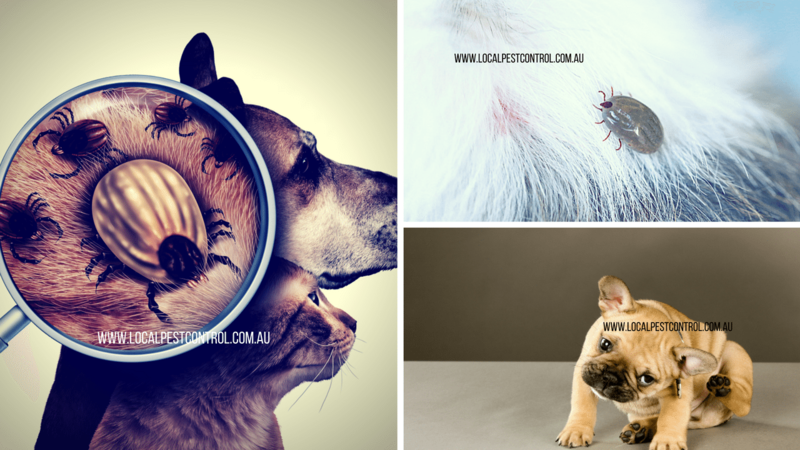 With over 35 years of experience in the Hunter Region, we are the experts when it comes to pest control. Call now and let Ian King resolve your pest control problems.